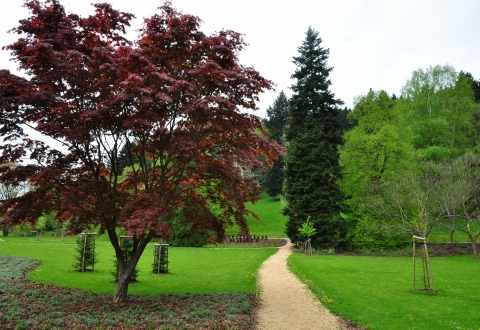 To keep your trees healthy, you may need to fertilize. Fertilizer can be injected into the earth and applied around the trunk of a tree to supply additional nutrition to the roots of your tree. If you notice that your tree has wilted leaves, leaves that are unnaturally yellow or brown, or if your tree has dead or dying branches, you may need to fertilize. Regular tree fertilizing ensures that your tree lives a full life, and it grows into a full-bodied, mature tree. Trimming your trees keeps them healthy, and it keeps damaged or infected branches from causing harm. When you have your trees professionally trimmed, it ensures that the remaining tree branches receive plenty of nutrients and sunlight. These branches are more likely to thrive, grow, and produce new branches. In this way, we can shape a tree, and we can improve its longevity. Tree trimming is, as we mentioned, also useful for removing branches that can cause harm. 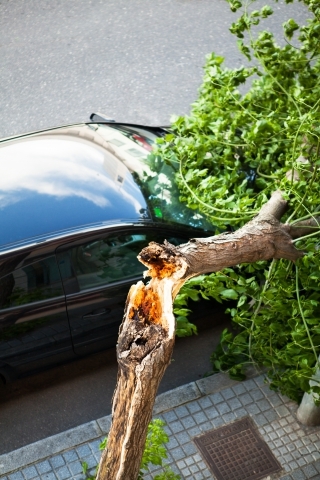 If you have a dead branch on your tree, it’s liable to fall; that can harm your property or injure passersby. We safely trim and remove dead, dying, or infected branches. If you have a tree that’s at the end of its life, a tree that’s a hazard, a tree that’s blocking your view, or a tree that’s infected, we can remove it. With large trees, we can safely cut from the top down to ensure that branches don’t damage your property. Once we cut a tree down, we can also perform stump grinding. 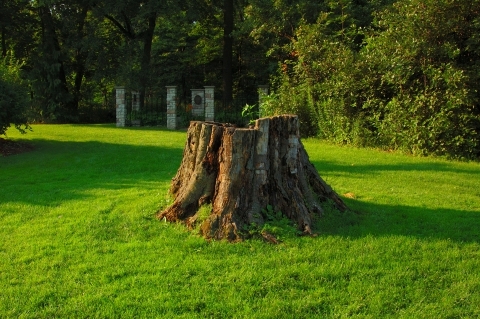 If you have a stump that juts out into your landscape, we can grind it down. If, for instance, you have a stump that resides in the middle of your yard, we can grind the stump down below the grade of your yard; then, we can backfill with dirt, apply seed, or install sod to complete your yard. Do you have a small forest on your lot? We can clear the bramble. We utilize heavy machinery to clear lots, remove trees, and regrade the surface of lots. Tree barriers ensure that roots don’t grow where they aren’t supposed to. If, for example, you’d like to plant a tree near your home, sidewalk, or buried infrastructure, we can install a barrier to ensure that the roots of a tree don’t cause damage. In some instances, existing tree roots can be cut and a tree barrier may be retrofitted into the ground to prevent future root growth in areas of your property. If you’re curious about our tree services, or if you’d like to get a free quote on your next tree-related project, feel free to get in touch with a landscaper here at Jeff Fuller Designs!